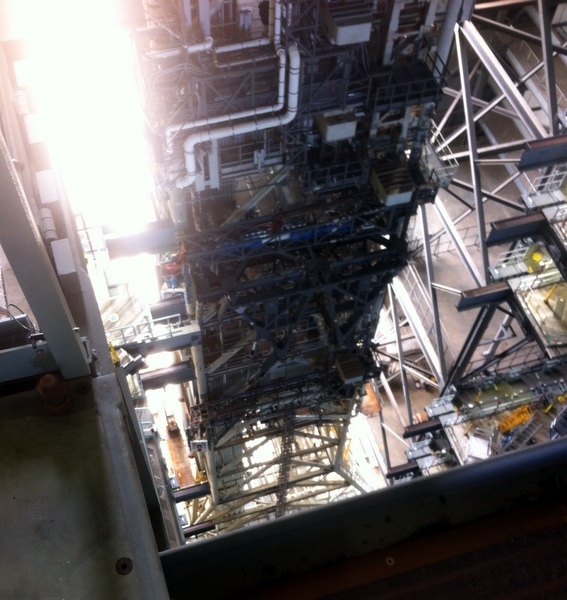 Moving the 300 foot+ ML (Mobile Launch) Tower from the Launch Pad to the VAB (Vehicle Assembly Building) for a "Fit Test"
Why? 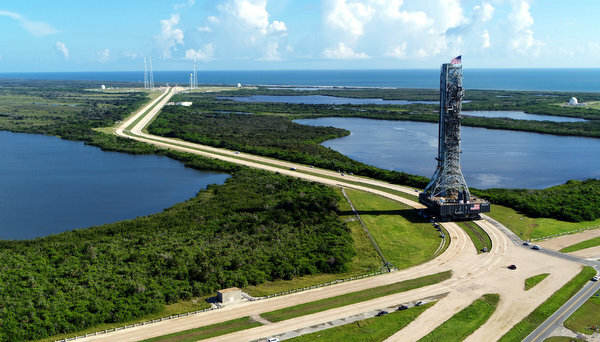 Why is the trip to the launch pad and the VAB necessary? 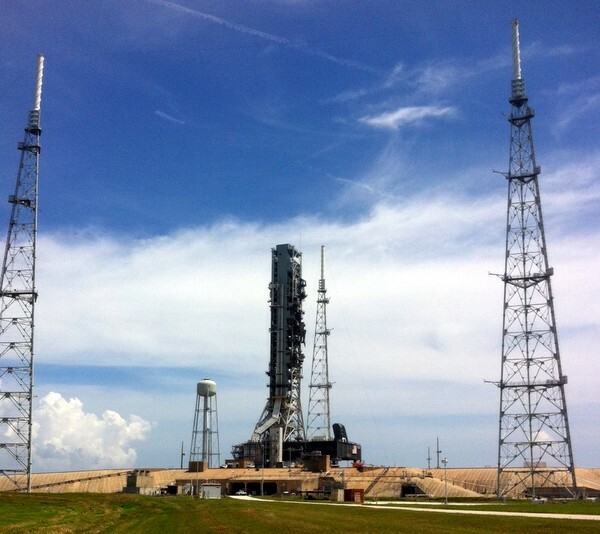 Extensive modifications to both the Launch Pad, the mobile launch tower and the VAB. 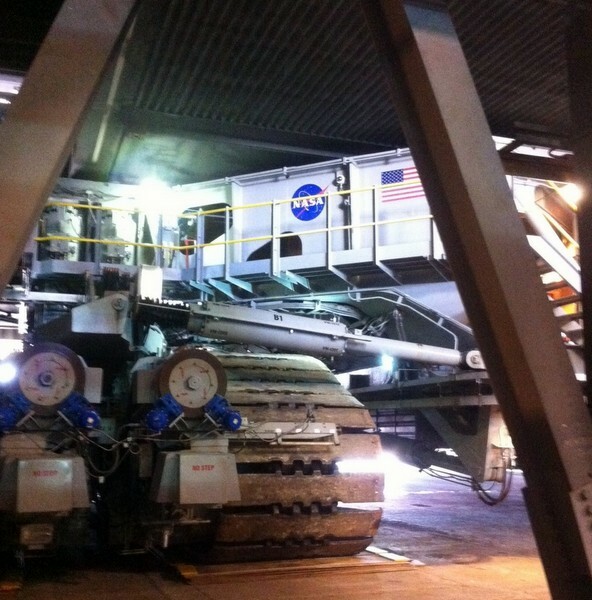 Also, it was a good shake down for new personnel and new procedures since the shuttles retired. 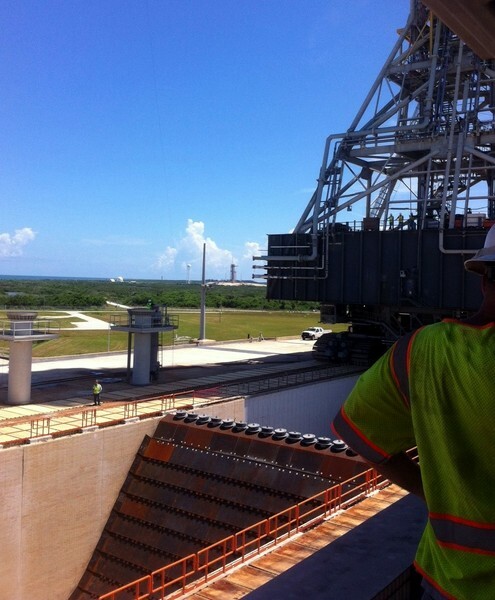 "Distant view from the west side of the pad"
A view from the 28th floor of the VAB and the top of the ML tower as it moves into the VAB. 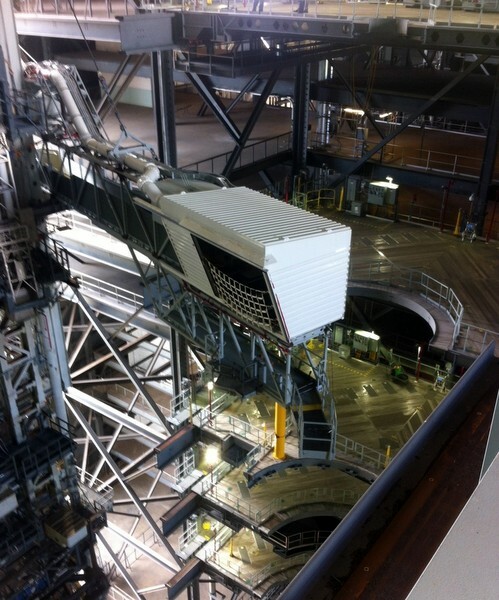 The white box in the photo is the astronaut access arm for enter the Orion Capsule/SLS rocket. Result of the "Fit Test"? A few things did not fit, however it was an awesome sight to behold-even without a rocket yet. Bittersweet ramble: I worked on 50-75+ shuttle moves. The overwhelming diesel fumes, the Florida heat, Florida mosquitos and excitement was the same for the ML tower.